Gina Lollobrigida, Vittorio DeSica, Marisa Merlini, Roberto Risso. 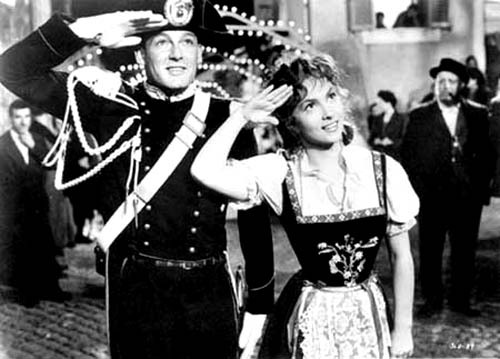 This film, which scooped the Silver Bear at the Berlin International Film Festival in '54, catapulted Gina Lollobrigida to star status and was director Luigi Comencini's first big screen hit. Vittorio De Sica plays the middle-aged marshal of carabiniers in a remote Italian mountain village. 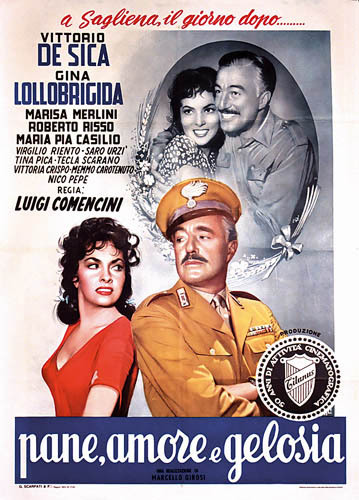 He's anxious to marry, and selects young Gina Lollobrigida as his bride; but she is already in love with De Sica's shy subordinate Roberto Risso. Mistaking her headstrong behavior as promiscuity, De Sica makes advances towards her, but she spurns him. Forsaking the girl to the arms of Risso, De Sica decides to settle for village midwife Marisa Merlini. Originally titled Pane, Amore, e Fantasia when released in Italy, BREAD. 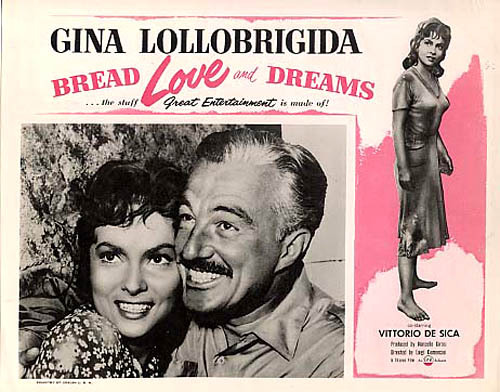 LOVE AND DREAMS contains what some regard as Gina Lollobrigida's best and most naturalistic performance. Academy Award nominations: Best Motion Picture Story. 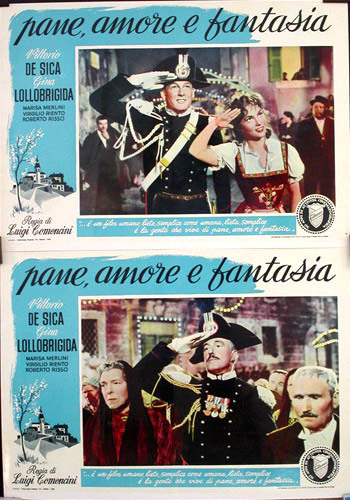 The film's popularity resulted in two sequels, both with Lollobrigida: Pane, Amore e Gelosia (US title: Frisky) and the open-ended Pane, Amore e... (released in the states as Scandal in Sorrento).